The 2nd Summit on Diversity in the Minerals, Metals, and Materials Professions (DMMM2) will be organized in honor of Frank Crossley, a TMS/AIME member since 1947. The inaugural Frank Crossley Diversity Award will also be presented during DMMM2. For more details, visit the Honorees page. Build a more diverse and inclusive professional community. Take home skills and strategies to make a difference in your own workplace and career experience. Expand your network of colleagues who share your commitment to engaging the widest diversity of perspectives on today’s complex scientific and engineering challenges. Plan now to attend the 2nd Summit on Diversity in the Minerals, Metals, and Materials Professions (DMMM2), sponsored by TMS. Strategies for increasing underrepresented minority (URM) engagement in the STEM professions. Best practices for building a welcoming and inclusive workplace culture. Addressing factors behind the self-induced glass ceiling and supporting new pathways to career fulfillment. Contribute to the conversation. Discover what to expect from DMMM2. 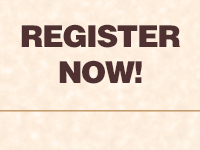 Learn about the value and impact of this summit series. Visit the TMS Diversity and Inclusion Initiatives website today for more information on available resources from TMS. 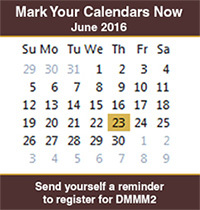 "DMMM1 was packed with information and great discussions. I wish I would have had some of these discussions earlier in my career, and I am glad to have a forum in which to have these discussions now." — Clarissa A. Yablinsky, Los Alamos National Laboratory, "DMMM1 Builds on the Strength in Diversity"